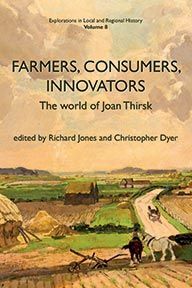 English rural society underwent fundamental changes between the thirteenth and eighteenth centuries with urbanisation, commercialisation and industrialisation producing new challenges and opportunities for inhabitants of rural communities. 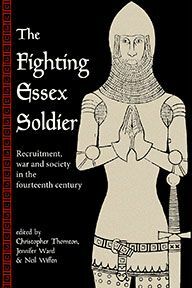 However, our understanding of this period has been shaped by the compartmentalisation of history into medieval and early-modern specialisms and by the debates surrounding the transition from feudalism to capitalism and landlord-tenant relations. 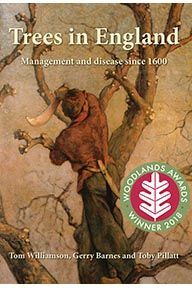 Inspired by the classic works of Tawney and Postan, this collection of essays examines their relevance to historians today, distinguishing between their contrasting approaches to the pre-industrial economy and exploring the development of agriculture and rural industry; changes in land and property rights; and competition over resources in the English countryside. These case studies further highlight the regional diversity of medieval and early-modern England by focusing on the mixed economies of south-western, western and northern England, and the role of coastal and urban communities within the rural economy. Custom was a contested set of rules based upon historical precedent which governed the behaviour of village communities, and a key theme of Tawney's Agrarian Problem was the 'struggle between custom and competition'. This collection of essays reconsiders the role of custom in medieval and early-modern England by arguing that it often facilitated the commercialisation of rural society in this period rather than hindering it. 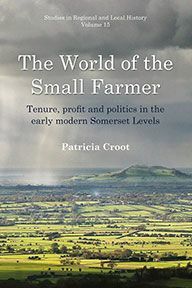 The book has an intentionally broad chronological span, ranging from the thirteenth century through to the eighteenth, exploring the interactions between custom and commercialisation during a key period in the economic development of English rural society. The contributors include: James P. Bowen, John Broad, A.T. Brown, Christopher Dyer, John Gaisford, Tom Johnson, David Rollison, Simon Sandall, Alexandra Sapoznik, William D. Shannon, Sheila Sweetinburgh, and Andy Wood. James P. Bowen is a Postdoctoral Research Associate at the University of Liverpool. Alex Brown works on the economic and social history of rural England across the medieval and early modern periods. His thesis was a study of how rural society in Durham adapted to the economic problems of the fifteenth-century recession and how this affected their ability to respond to the inflation of the sixteenth century. This study focused upon the development of agrarian capitalism in the Durham countryside: a region uniquely characterised by a high concentration of ecclesiastical landownership and the precocious development of large-scale coal production. This has been further developed by postdoctoral research examining the rise of the coal industry, the supposed gentrification of merchant wealth, and the experience of lay landowners like the Nevilles and Lumleys. Together, this forms the basis of his first monograph on Rural Society and Economic Change in County Durham: Recession and Recovery, c.1400-1640 published by Boydell and Brewer in 2015. Alex won the New Researchers Prize at the annual conference of the Economic History Society in 2012 and held the EHS Postan Fellowship at the Institute of Historical Research in 2012-13. He is currently an Addison Wheeler Fellow at Durham University, exploring downward social mobility and institutional memory in English rural society. He co-organised ‘Agriculture and Industry: the Development of Rural England, 1000-1700’, a colloquium at the Institute of Historical Research, 1 July 2013, with James Bowen. This resulted in the edited volume Custom and Commercialisation in English Rural Society (with University of Hertfordshire Press, 2016). He also co-organised 'Coping with Crisis: Re-Evaluating the Role of Crises in Economic and Social History', a three-day international conference at Durham University, 26-28 July 2013, with Andy Burn and Rob Doherty, which inspired a collection of essays on Crises in Economic and Social History: A Comparative Perspective (Boydell, 2015). 2015 Rural Society and Economic Change in County Durham: Recession and Recovery, c.1400-1640, Boydell and Brewer. 2016 (co-edited with Bowen, James P.) Custom and Commercialisation in English Rural Society, 1300-1800: Revisiting Postan and Tawney, University of Hertfordshire Press. 2015 (co-edited with Burn, Andy & Doherty, Rob) Crises in Economic and Social History: A Comparative Perspective, Boydell Press. Forthcoming 'Church Leaseholders on the Dean and Chapter's Estates, 1540-1640: The Rise of a Rural Elite? ', in Green, Adrian & Crosbie, Barbara (eds. ), The Economy and Culture of North-East England, 1500-1800, Boydell and Brewer. 2016 'A Money Economy? Provisioning Durham Cathedral across the Dissolution, 1350-1600', in Brown, A. T. & Bowen, James P. (eds. ), Custom and Commercialisation in English Rural Society, 1300-1800: Revisiting Postan and Tawney, University of Hertfordshire Press. 2016 (co-authored with Bowen, James P.) 'Custom and Commercialisation in English Rural Society', in Brown, A. T. & Bowen, James P. (eds. 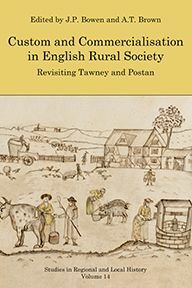 ), Custom and Commercialisation in English Rural Society, 1300-1800: Revisiting Postan and Tawney, University of Hertfordshire Press. 2015 (co-authored with Burn, Andy & Doherty, Rob) 'Coping with Crisis: Understanding the Role of Crises in Economic and Social History', in Brown, A. T., Burn, Andy & Doherty, Rob (eds. ), Crises in Economic and Social History: A Comparative Perspective, Boydell Press.